Behold! The ideal romantic getaway for you and your significant other! 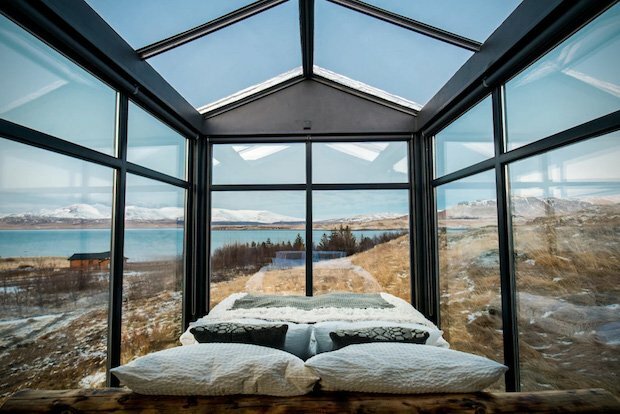 The Panorama Glass Lodge in Reykjavik, Iceland features a bedroom with glass walls and a glass ceiling. 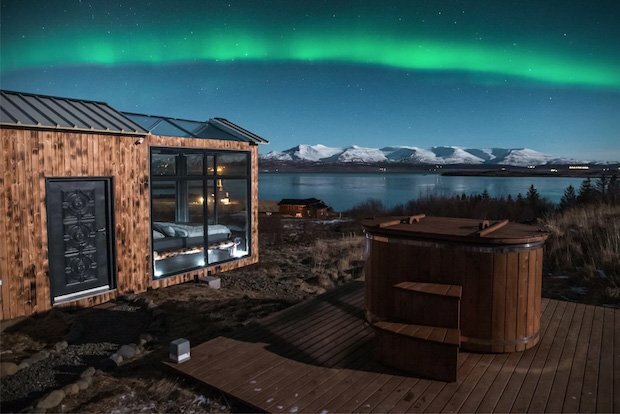 It provides panoramic views of the beautiful landscape and the distant snowy mountains. The lodge is a private home with modern amenities. 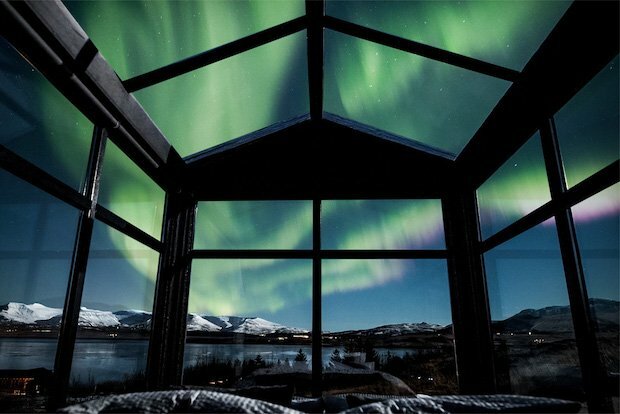 The location makes it an ideal spot for admiring the northern lights. Enjoy some intimate bonding with your partner in the Panorama Glass Lodge for $425 per night. 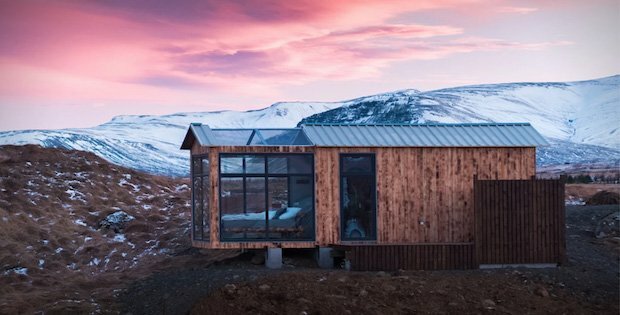 This igloo-like home features a small fully equipped kitchen, a dining table, full bathroom, and hot tub – essentially everything you’d expect out of a high-end hotel or lodge. Want to Try Some Woodworking at Your Next Glamping Vacation?